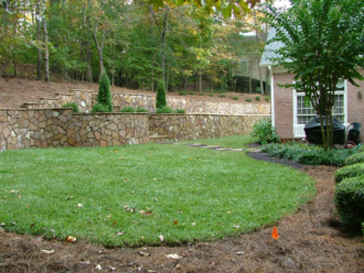 This is another customer’s backyard at Country Club of the South. 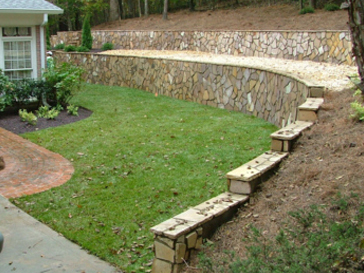 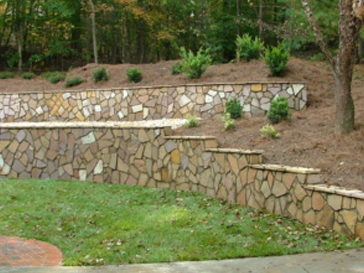 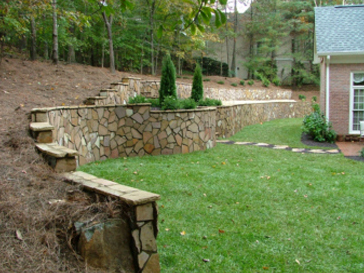 They wanted two small retaining walls with steps and more backyard space. 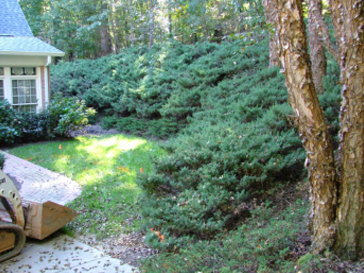 First you will see the area before we cleaned it and after. 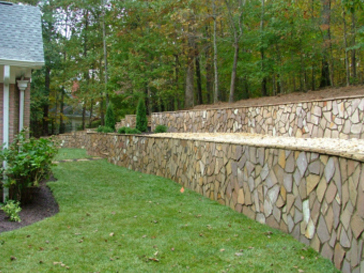 We designed these walls for them. 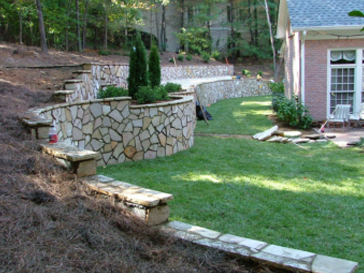 Some of the pictures will walk you through the process before and after. 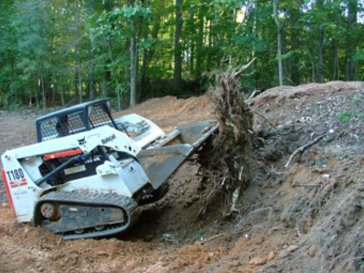 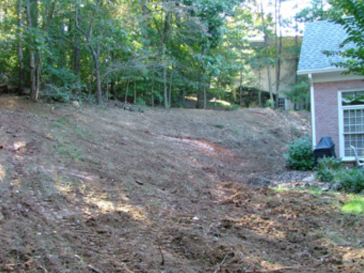 The Junipers were removed with the bobcat and graded for the terrace retaining walls. 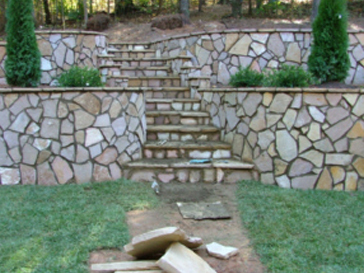 We used a concrete footer, concrete center blocks, rebars, dead men for support, and natural flagstone. 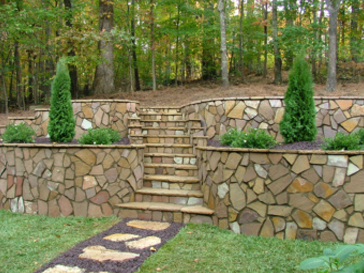 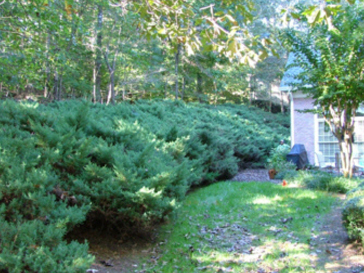 Natural Flagstone Steps – Rubber Mulch – Evergreens.